Cauliflower is a low-calorie vegetable that contains a large amount of water, which makes it great for weight loss and heart health. Every head also contains soluble fiber, which helps lower cholesterol and maintains blood sugar levels. Substitute cauliflower in mashed potatoes for a lower calorie version of your favorite comfort food. 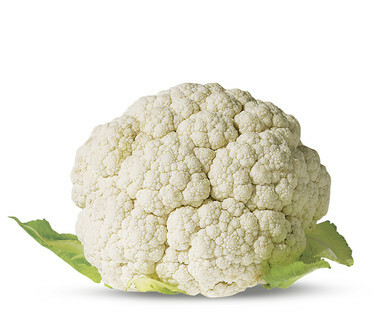 Select cauliflower that’s compact and has creamy white curds with bright green, firmly attached leaves.